Does ‘Ralph Breaks the Internet’ Have a Post-Credits Scene? Disney has dropped its sequel to “Wreck-It Ralph,” “Ralph Breaks the Internet,” over the Thanksgiving holiday week, and hopes to entertain families with its meta humor about movies and the world at large and, of course, the internet. Given that “Ralph Breaks the Internet” makes this whole “Wreck-It Ralph” thing a franchise now, you might be wondering if it follows in the footsteps of many other big movie series by including some kind of bonus content or teases during and/or after the credits. Or if it does what “Fantastic Beasts: The Crimes of Grindelwald” did and not indulge the post-credits scene craze that was popularized by Marvel. 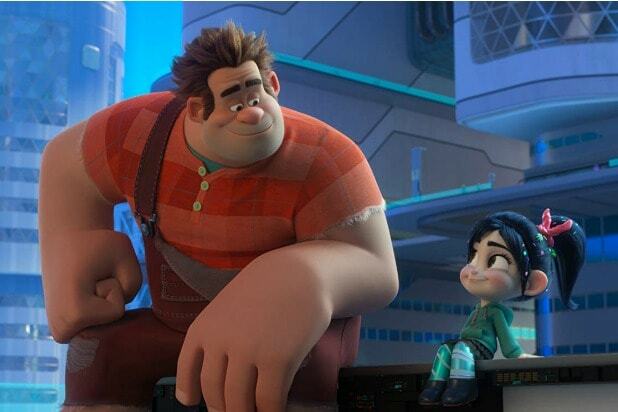 So, once the credits roll on “Ralph Breaks the Internet,” do you need to stay in your seat for extra #content or is it safe to run to the bathroom as soon at the movie proper ends? Well, it turns out that “Ralph Breaks the Internet,” despite not being a Marvel film, does follow in the Marvel Cinematic Universe tradition of putting an extra scene midway through the credits and then another bonus scene at the very end of the credits. You should know that these bonus scenes are just extra jokes, not teases for a future “Wreck-It Ralph” movie (this isn’t that kind of franchise, obviously). If you want to know what the extra scenes are, I’ll tell you below. If you want to remain unspoiled, now is the time to stop reading. Though, again, the mid-credits and post-credits scenes are just for fun, so they are not exactly major spoilers. Still, if you don’t want to know, now would be a good time to close this article. Spoilers for the mid-credits and post-credits scenes from “Ralph Breaks the Internet” are below. Okay, so the scene that comes during the credits is actually one that was in one of the trailers for the film. But with a meta twist. The scene has a mom and her young daughter in a car, with the mom asking if the girl liked the movie. The girl answers that she did, but was disappointed that a certain scene she liked from the trailer wasn’t in it. Then the girl pulls out a tablet and plays a game on it, and this is where the trailer scene began, with Ralph (John C Reilly) and Vanellope (Sarah Silverman) taking over her game. You can watch the bulk of the scene here. The post-credits scene is another meta gag. On screen you see a link that says to click for a teaser for “Frozen 2.” The link gets clicked, and instead of a first look at “Frozen 2” you’re treated to a Ralph-themed Rickroll, with Ralph performing “Never Gonna Give You Up” by Rick Astley.